The book, simply called Autobiography, will be published by Penguin Classics on October 17 and will also be available as an ebook. The singer said last month he had pulled the book after what he described as ''a last-minute content disagreement'' with Penguin. The memoirs, which could lift the lid on his upbringing in Manchester and his relationship with former songwriting partner Johnny Marr, will be eagerly read by his devoted fans. 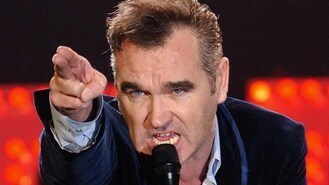 Morrissey , who is a prominent vegetarian, recently donated £10,000 to an anti-foie gras campaign after being paid the money by Channel 4, which had used one of his songs without permission in an advert for a Gordon Ramsay show. He has consistently courted controversy throughout his career criticising fellow singers and including a track called Margaret On The Guillotine - in which he mused about the execution of Baroness Thatcher - on his solo debut album in 1988. Last year, he waded into the row over the Falkland Islands telling the audience at an Argentinian gig that they ''belong to you''. He published two books, one about US rockers The New York Dolls and another about the actor James Dean, before finding fame with The Smiths.